Geographically and ethnically diverse, Northern California is well known as the tech capital of the world. But did you know it also has a booming art scene? Not to mention a wealth of interactive and engaging museums with hands-on attractions for the whole family. With 18 stations that stop between San Jose and Auburn, the Capitol Corridor can get you to a broad array of museums covering everything from fine art, contemporary works and film archives, to sports memorabilia and science. Crocker Museum in Sacramento, CA. 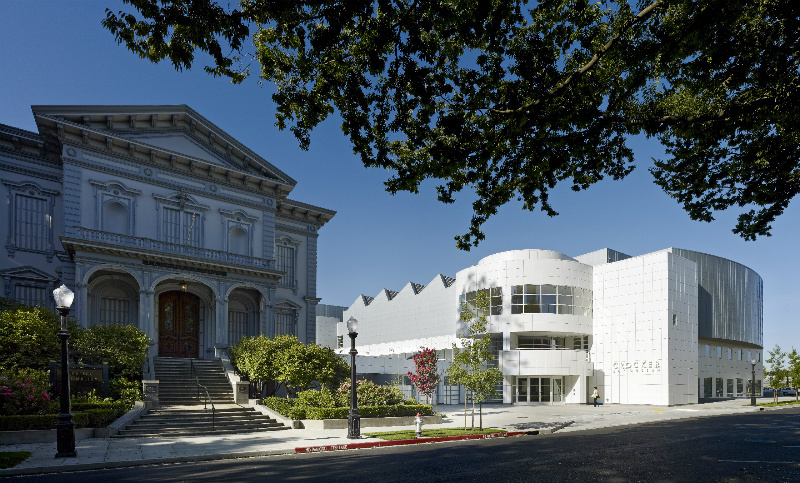 Noted as the first public art museum in the Western United States, the Crocker Art Museum is now one of the leading art museums in California. Built in 1885, the gallery building is a California Historical Landmark that originally featured a bowling alley, skating rink, and a billiards room on the ground floor; a natural history museum and a library on the first floor; and gallery space on the second floor. Currently, the museum displays an impressive array of European, Asian, African and of course, Californian art. Six years ago, the museum’s expansion project finished and tripled from its original size, adding an educational center — including four studios, an expanded library, and the Art Education Resource Room with special programs developed specifically for school-age kids to enjoy discovering, exploring, and making art. For kids five and under, there is an interactive play gallery in Tot Land. Dates and hours: Open Tuesday through Sunday 10am to 5pm and Thursday 10am to 9pm. Closed on Monday. *Admission: $10 adults and $5 youth 7-17. Kids under 6 are FREE. Directions: Take the train to the Sacramento Station, which is just over half a mile from the museum. Historical train exhibit at the California State Railroad Museum. Proudly regarded as one of North America’s most visited railroad museums, the California State Railroad Museum is a historical site and a family attraction wrapped in one. Located in Old Sacramento, there are attractions to delight every member of the family, including 21 meticulously restored “iron horse” locomotives, period decorated railway cars, a wooden caboose, and even a post office. 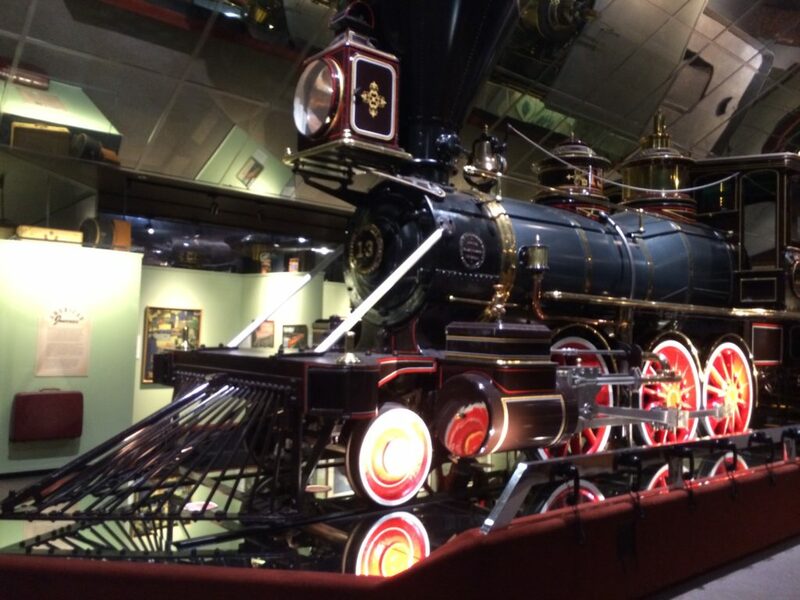 The museum offers daily guided tours highlighting how railroads shaped the lives, economy, and culture of California. There are interactive exhibits focusing on the science behind non-verbal communication tools used by the railroad to navigate through severe conditions such as heavy rain, dense fog, and snow, as well as a new high-speed train simulator exhibit with interactive controls allowing guests to simulate the experience of piloting a modern high-speed train. You’ll also learn about the history of the railroad, including President Abraham Lincoln’s steadfast support, culminating with the signing of the Pacific Railroad Act in 1862. Dates and hours: Open daily 10am to 5pm. Admission: $10 adults and $5 youth 7-17. Kids under 5 are FREE. Directions: Take the train to the Sacramento Station, which is a 5-minute walk from the museum. Photo courtesy of Berkeley Art Museum and Pacific Film Archive. Originally called the University Art Museum in 1963, the geometric shaped building was renamed the Berkeley Art Museum and Pacific Film Archive (BAMPFA) and is on the site of what was once a printing plant on the edge of the University of California, Berkeley campus. The museum now has more than 20 art exhibitions, a comprehensive collection of 19,000 works of art, and 17,500 films and videos. A wide range of permanent and temporary exhibitions, from classical Asian art to the latest avant-garde work, are laid out in open galleries on three different levels. BAMPFA’s MATRIX Program for Contemporary Art, a venue for innovative works by important emerging artists since 1978, provides an experimental framework between the artist, the museum, and the viewer. The library and film study center is one of the top film archives in the nation. The 450 film screenings of rare and rediscovered prints of movie classics allow visitors to discover cinema from every film-producing country in the world. Screenings often have in-person appearances by filmmakers, authors, critics, and scholars, who engage in discussion with audiences. Dates and hours: Open Wednesday, Thursday, and Sunday 11am to 7pm, and Friday and Saturday 11am to 9PM. Closed on Monday and Tuesday. Admission: $12 General Admission. 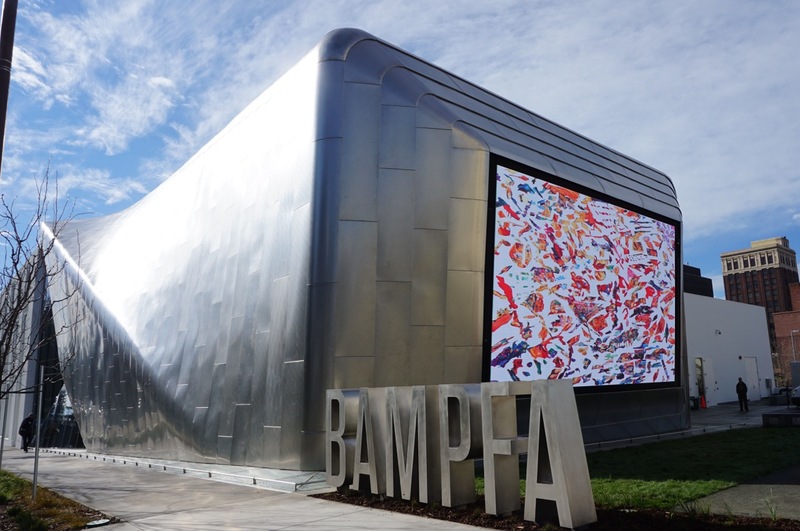 BAMPFA members, UC Berkeley students, faculty, staff, and youth 18 and under with one adult are FREE. Tickets for film screenings and other ticketed events can be purchased at the event. Directions: Take the train to the Richmond Station, connect to BART, and get off at the Downtown Berkeley stop, which is just a short walk from the museum. Courtesy of the Oakland Museum of California. Photo by Matthew Millman. Oakland is now ranked as one of the most exciting cities in the nation, and a trip to Oakland would not be complete without a visit to the Oakland Museum of California, specializing in natural science and history, and featuring more than 1.9 million unique objects representing the art of the Golden State. The exhibits highlight the many voices of Californians and their cultural heritage, including seminal art works, historical artifacts, ethnographic objects, natural specimens, and photographs. The museum nurtures the deep ties to the community with its outreach and educational programs such as the current Black Panther exhibit, celebrating the 50th anniversary of the Party. This is a family-friendly museum where kids can explore and learn about the natural history of California, look through microscopes, find hidden treasures or relax and watch a movie. There is also a large chalkboard in the main entrance where budding artists can write responses to a topical question or create their next masterpiece. Dates and hours: Open Wednesday and Thursday 11am to 5pm, Friday 11am to 9pm, and Saturday and Sunday 10am to 6pm. Closed on Monday and Tuesday. Admission: $15.95 General Admission; $10.95 seniors 65 and over; $6.95 youth 9-17; and $10.95 students with current ID. Children under 8 are FREE. Directions: To get there, take the Capitol Corridor to the Oakland Jack London Square Station, which is just over half a mile from the museum. For public transit options, check out Google maps. 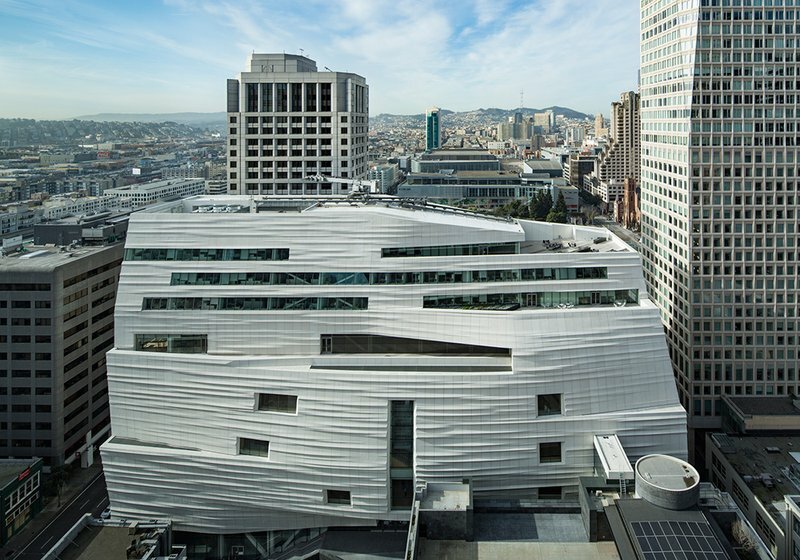 Snøhetta expansion of the new SFMOMA, 2016; photo: © Henrik Kam, courtesy SFMOMA. The newly renovated and expanded San Francisco Museum of Modern Art – better known worldwide as SFMOMA – does not disappoint. The ambitious $305 million, 10-story expansion now displays over 1,100 significant contemporary artworks on loan from the founder of Gap Inc., the Fisher family. Spread throughout seven floors, the museum is one of the largest in the world for modern and contemporary art. The museum’s impressive collection includes over 33,000 works of painting, sculpture, photography, architecture, design, media arts, and it’s where you will find early Andy Warhol works to the dazzling collection of Diane Arbus photographs. 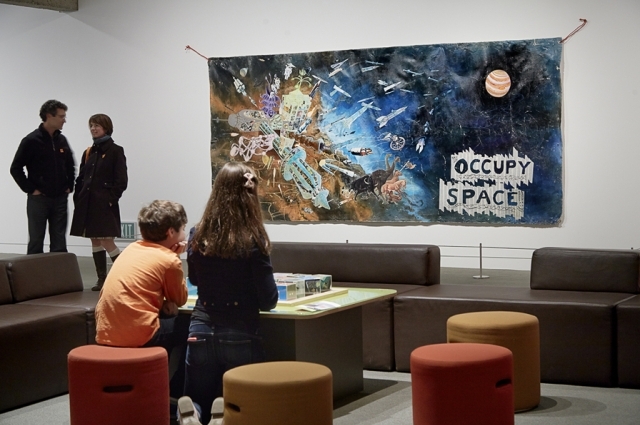 SFMOMA has public spaces and areas where even the youngest tots can run around freely, or participate in a treasure hunt, allowing imaginations to set the itinerary. And with the help of local school districts, SFMOMA has an educational program that is specifically designed to offer young visitors downloadable kid-friendly art guides. Dates and hours: Open daily from 9am to 5pm, Thursday until 9pm. Advance tickets purchased online are recommended. Admissions: $25 adults; $22 seniors 65 and over; and $19 adults 19-24. Youth 18 and under are FREE. Directions: Take the Capitol Corridor to the Richmond Station or Oakland Coliseum Station, connect to BART, and get off at the Montgomery Street stop, which is just a few blocks away from the museum. Discount BART tickets are available for purchase in the Café Car of Capitol Corridor trains. 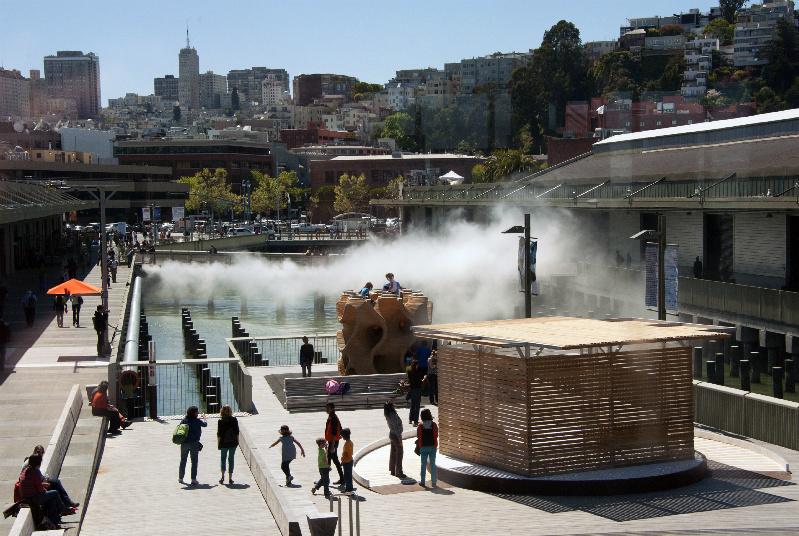 Relocated in 2013 from its original home at the Palace of Fine Arts in San Francisco to a waterfront spot along the Embarcadero between the Ferry Building and Pier 39, the Exploratorium offers stunning views of the San Francisco Bay. This “public learning laboratory” takes a unique look at the world through hands-on science, human perception, and modern art. Founded and opened in 1969 by experimental physicist Dr. Frank Oppenheimer, it now has more than 600 exhibits — many representing collaborations with science agencies, educational institutions, and community programs — that break away from the usual science museum mold by allowing innovators, young and old alike, to explore, learn, and engage. 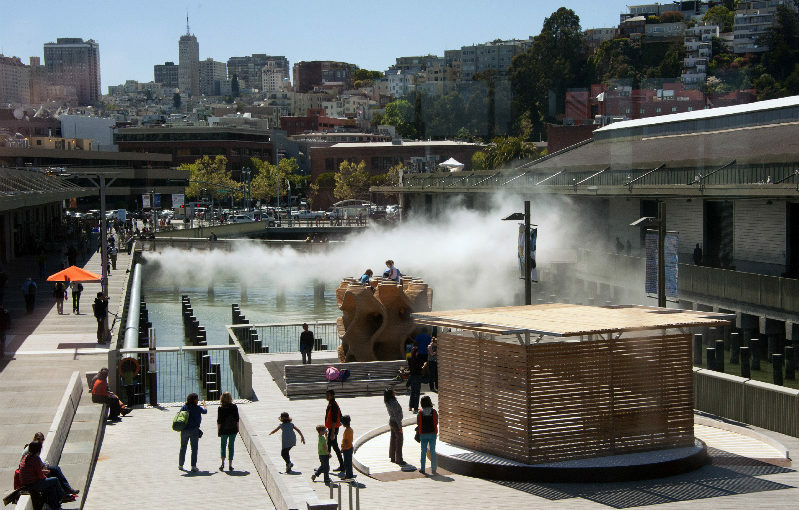 The Exploratorium has six main museum galleries with different areas to explore, as well as art exhibits featuring the work of artists influenced by curiosity and outdoor exhibits uncovering the phenomena of winds, tides, and urban development. One of the Exploratorium’s most popular features is the Tactile Dome, an interactive excursion through total darkness requiring guests to use their sense of touch as their only guide through its chambers and mazes. The Dome was originally designed and built in 1971 by August Coppola, the father of actor Nicolas Cage. It was rebuilt for the museum’s Pier 15 location and requires a separate reservation and add-on ticket fee. General Admission: $29.95 adults 18-64; $24.95 seniors 65 and over, students, teachers, people with disabilities, and youth 13-17; and $19.95 children 4-12. Children 3 and under, California Public School Teachers, and members are FREE. Add-on fees for the Tactile Dome are $15 and $12 for members. Thursdays Nights (18 & up only): $15 General Admission and $10 Members. Lab members are FREE. Directions: Take Capitol Corridor to the Richmond Station or Oakland Coliseum Station, connect to BART, and get off at the Powell Street Station in San Francisco. Then take the F-Market & Wharfs Car on Market Street heading towards Fisherman’s Wharf/Pier 39, and get off on Green Street. Discount BART tickets and Muni tokens are available for purchase in the Café Car of the Capitol Corridor. The Tech Museum of Innovation in Downtown San Jose. 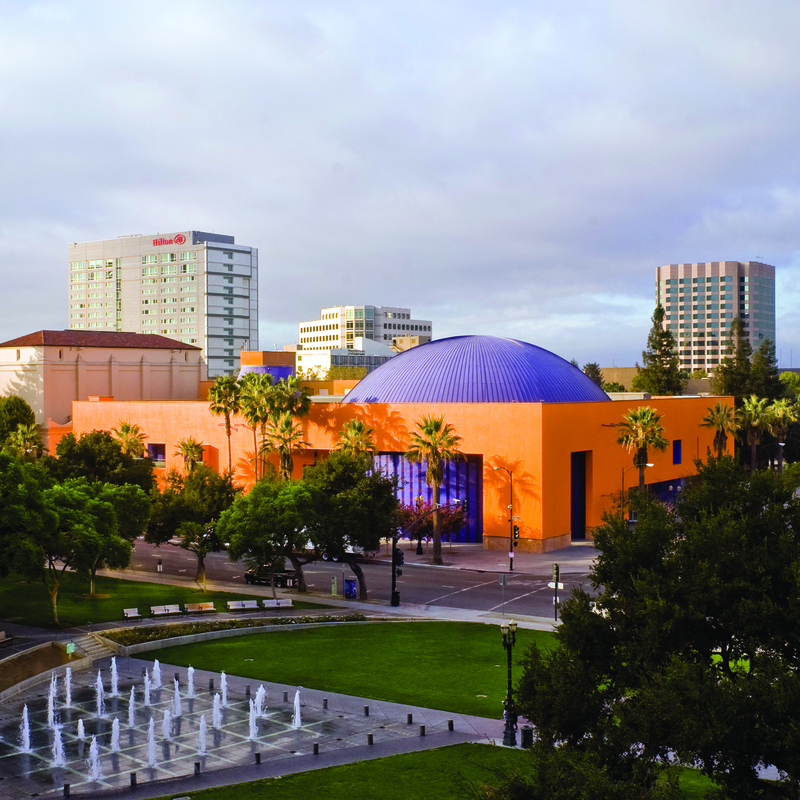 Located in the heart of Silicon Valley, the Tech Museum of Innovation is an experience no geek-at-heart can pass up. With state-of-the-art exhibits like the nation’s first interactive biotinkering space design studio, visitors can create their own mix of colorful DNA and use computerized blocks to build new creatures to release. Guests can also experience one or more of eight earthquakes in the earthquake simulator on a shake table, have a build-your-own-robot experience, learn about Body Metrics, explore wearable technology and health monitoring. A great place for young visitors to participate in guided activities or workshops related to STEAM learning (science, technology, engineering, arts, and math), the educational programs aim to nurture the next generation of Silicon Valley innovators. Most exhibits are highly interactive and cater to all ages, but are especially geared towards pre-teens and teens. Dates and Hours: Open daily from 10am to 5pm. Admission: $24 adults; $19 students and seniors over 65; and $19 youth 3-17. Directions: Take the train to the San Jose Diridon Station. The Tech is accessible by the VTA, with a free Transit Transfer from the Capitol Corridor. Photo Courtesy of 49ers Museum at Levi’s Stadium. Experience the 49ers all year round at the 49ers Museum, located at Levi’s Stadium in Santa Clara. 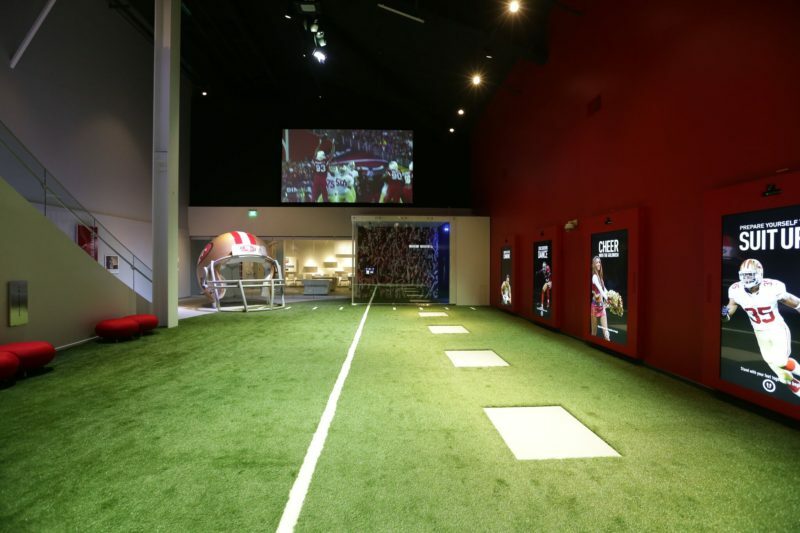 It features 11 unique galleries, interactive displays, and a Hall of Fame gallery where fans can check out life-size statues of 27 49ers players and coaches in their signature poses, learn about the team’s 70-year history, and relive the memories of the 49ers’ five Super Bowl Championships. There are Vince Lombardi trophies, Super Bowl rings, and lockers from Kezar Stadium also on display. In the lower level, kids can try on uniforms, helmets, and pads to find their inner football player, a field area to learn cheers from the Gold Rush Cheerleaders, throw a football through a virtual field goal, and record a broadcast video. The museum also houses a STEAM Education (presented by Chevron) learning lab with multi-touch, object recognition tables to teach core curriculum, such as using football statistics to teach math skills. Dates and Hours: Monday through Thursday from 9:30am to 2:30pm; Friday to Saturday, 10am to 6pm; and Sunday 10am-5pm. Admission: $15 adults and $10 children 5-12, seniors, Santa Clara residents, and active duty/retire military. Children under 4 are FREE. Directions: Take the train to the Santa Clara/Great America Station, which is just a 5-minute walk to the museum. *Admission prices for all museums accurate as of January 1, 2017; however, prices may change.